Who better to write a book about the Civil War than the faculty of the U.S. Military Academy? Well… yes and no. 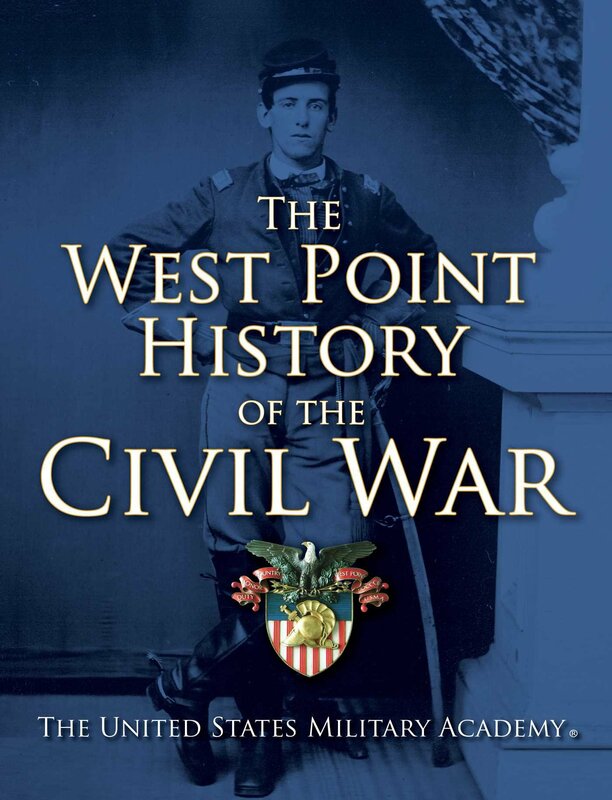 The West Point History of the Civil War , edited by Clifford J. Rogers, Ty Seidule and Samuel J. Watson (Simon & Schuster 2014), is a big, handsomely-illustrated book. Intended to be the first in a series of authoritative, West Point-approved books on our country’s major wars, it is an impressive – but far from flawless – volume. The early days of the Civil War were not easy ones for West Point. Although Cadet J.E.B. Stuart (Class of 1854) had praised the nationalizing influence of the school and said there was “no North and no South” among the cadets while he studied there, by 1859 the sectional divide had become stark. One observer said the Corps of Cadets had split “into two parties, hostile in sentiment and even divided in barracks.” Southern cadets burned President-elect Abraham Lincoln in effigy in late 1860. The first cadet left to serve the Confederacy on November 19, 1860, just weeks after Election Day. When high-profile graduates and faculty such as Robert E. Lee and P.G.T. Beauregard went south, critics in Congress blasted West Point as a breeding ground of traitors. Sen. “Bluff Ben” Wade of Ohio declared that “you can hardly find a graduate of West Point who is not heartily now the supporter of southern independence… the whole batch were imbued with… secession doctrine.” Bills were actually twice brought to the floor of Congress to cut off all funding and close the school. The Academy survived, but Congress imposed a new loyalty oath that is still used to this day. I was pleasantly surprised that the book goes into considerable detail on the political, economic and social roots of the Civil War. Once the war begins, there are excellent graphics on the structure and composition of the armies. Important leaders in gray and blue are profiled in brief but engaging biographical sidebars. The authors thoroughly explore politics, logistics, recruiting, contrabands, military discipline, conscription, communications and other key issues. Members of the West Point faculty contributed meaty chapters on the origins of the war, the campaigns of the east and the west, coordinated strategy and “hard war,” the end of the war, and the ugly postwar realities of Reconstruction (which is especially well-covered) and Jim Crow. I found Prof. James K. Hogue’s chapter on why the U.S. won and the Confederacy lost to be particularly incisive and well-written. He makes an excellent case for the proposition – first suggested by Gary Gallagher - that we shouldn’t now ask why the Confederacy didn’t win, but rather, how was it able to last so long? Soldiers live and die by maps, and the maps in this book are, as you might expect from a West Point project, almost uniformly excellent. There are both tactical and strategic maps, and foldout maps for such crucial battles as Antietam, Gettysburg and Chattanooga. It is not a perfect book, however. Its coverage of the Trent Affair is somewhat repetitious. Stonewall Jackson is incorrectly implied to have been killed by Federal troops’ fire. The authors repeat the old myth that Confederate troops came into Gettysburg looking for shoes on July 1, 1863. There are minor but troubling contradictions sprinkled throughout the text. The 1st Minnesota’s battlefield losses at Gettysburg are said to be 82%, then 80% just three pages later. In the span of another three pages, Grant is said to have had either 36,000, 45,000 or 49,000 troops during the Vicksburg campaign. Sherman’s March to the Sea is variously described as having begun on either Nov. 12, 14 or 15, 1864, and there are just too many other minor errors scattered throughout. The 432-page-long book’s photo and illustration credits are also very poorly formatted, making it difficult to figure out their sources. Even the remarkable maps have their problems – the First Bull Run map, for instance, shows Washington, D.C.’s boundaries as a square, even though the southwestern part of the district had been retroceded to Virginia in 1846. From the publisher: The definitive military history of the Civil War, featuring the same exclusive images, tactical maps, and expert analysis commissioned by The United States Military Academy to teach the history of the art of war to West Point cadets.